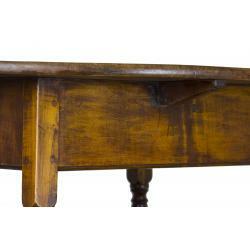 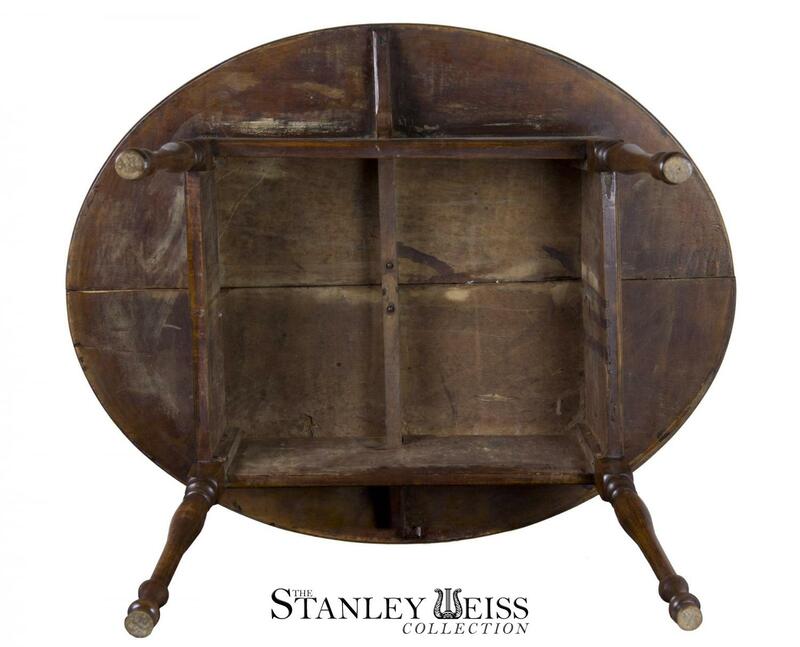 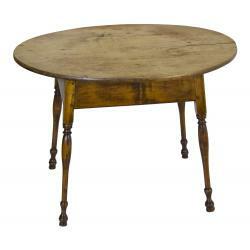 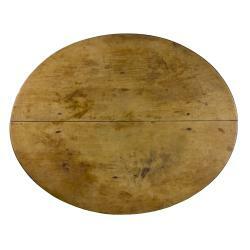 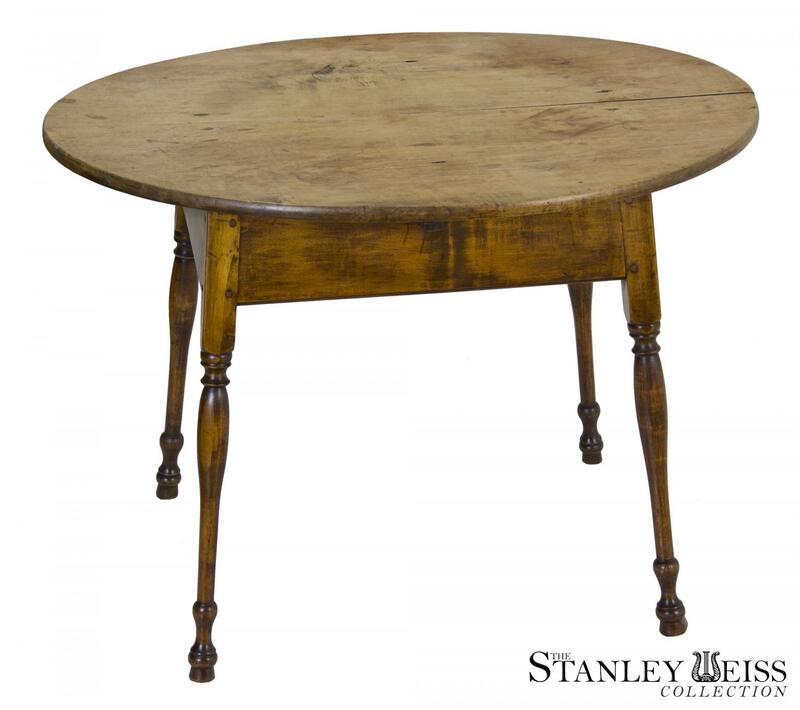 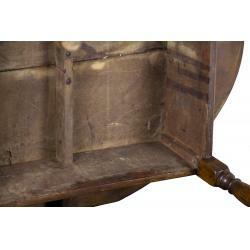 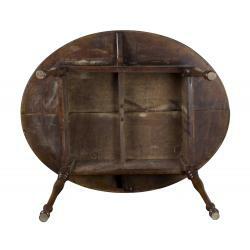 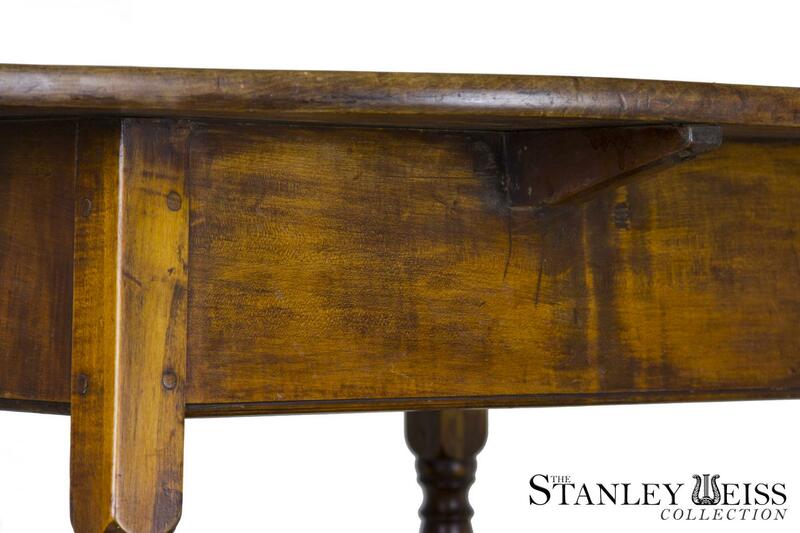 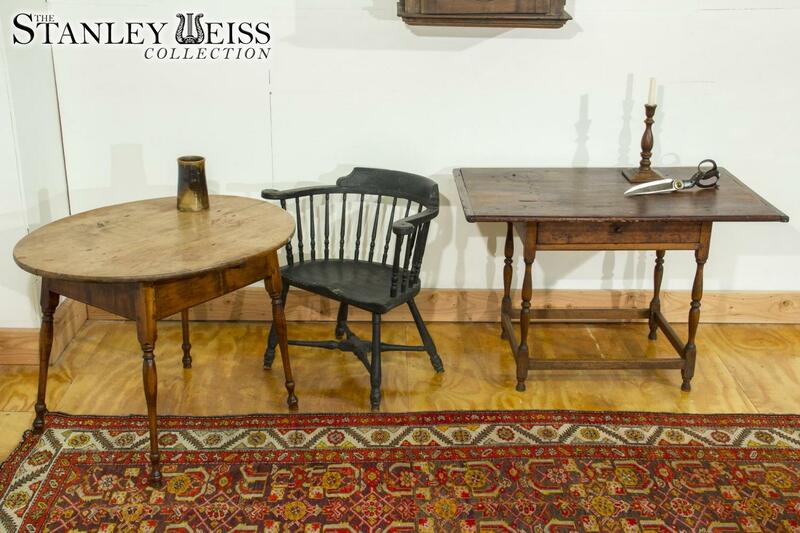 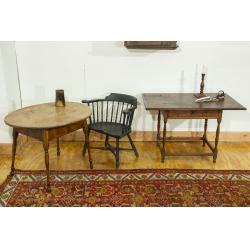 This tavern table is ideal for two people, given its generous size for the form. 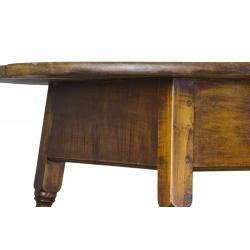 The top is maple--a hardwood--which is unusual, as these are often pine. 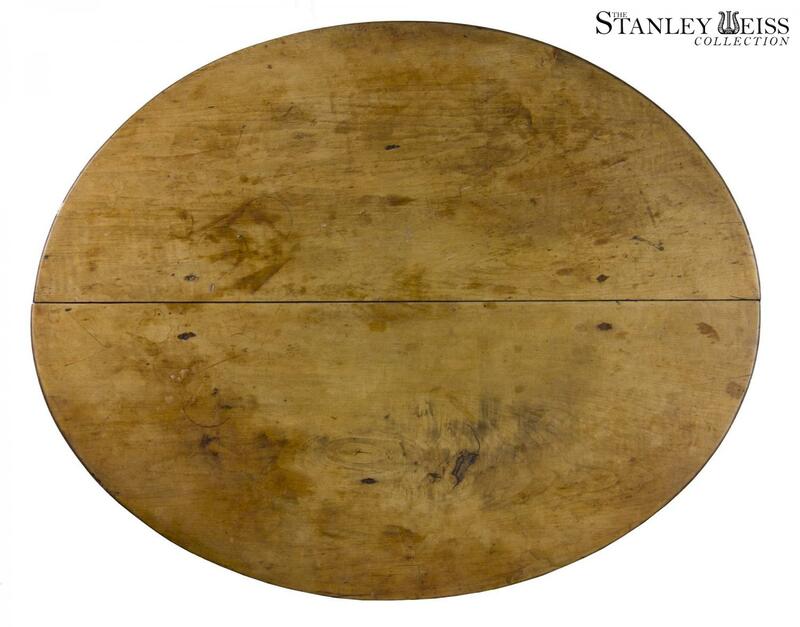 The top has an old scrubbed surface that has been cleaned and washed through the years. 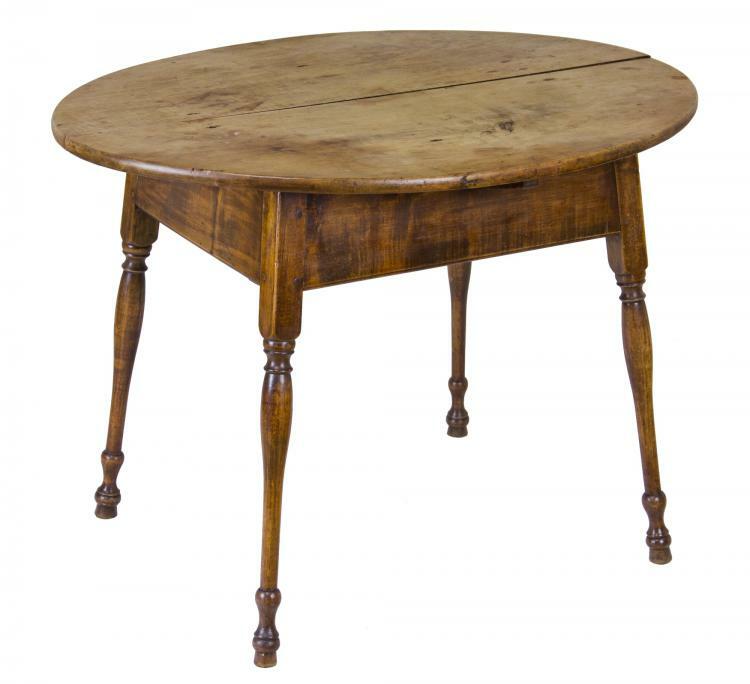 Note, it retains its original peg holes fixing the top to the base, with no additional reinforcement, as the original baton underneath the table has done its job, through the years. 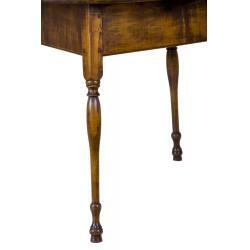 The legs are splayed and quite decorative, as they are beautifully turned and of full height. 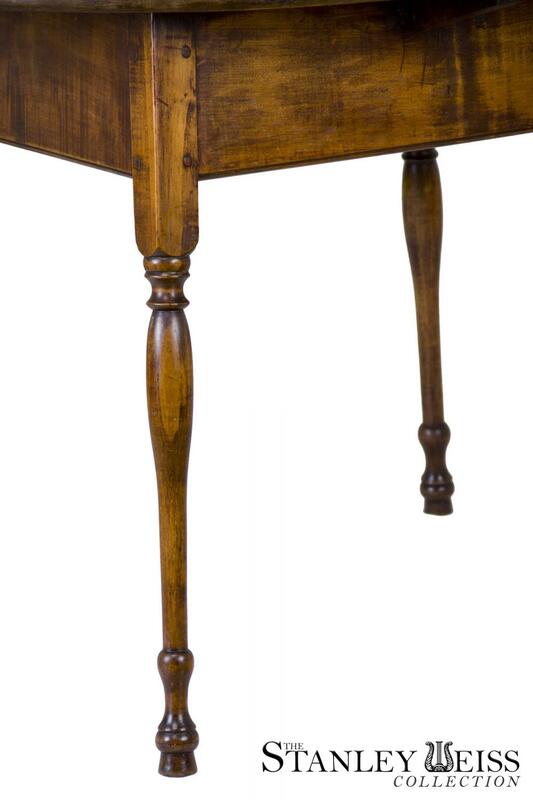 Without going into minutia, note the chamfering on the edges of the support cleat underneath the table top and the beaded edge at the base of the apron frame. This is a quality table that, while provincial, is elegantly executed with style. 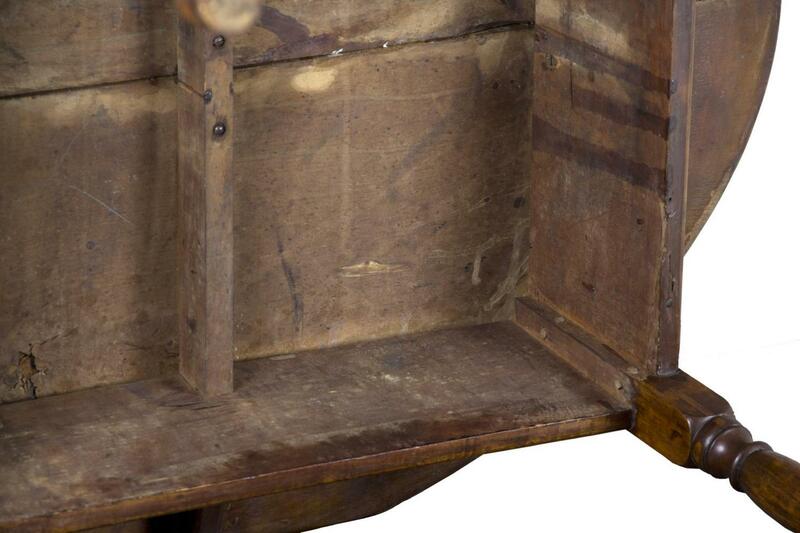 There are no repairs or alterations. 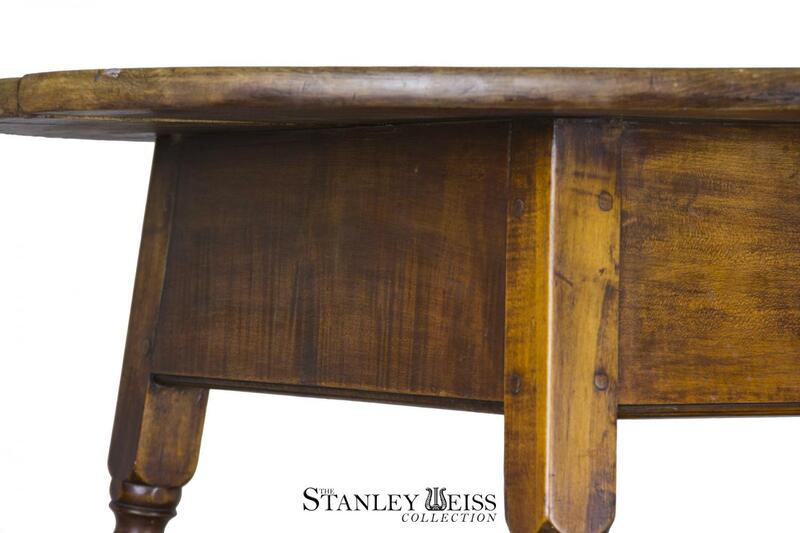 Copyright © 2011 - 2019 All rights reserved.